As Office Manager, Diane is a core part of the Hurd Rolland team. She works with the finance department and also works closely with Mike in relation to the general running of the office. 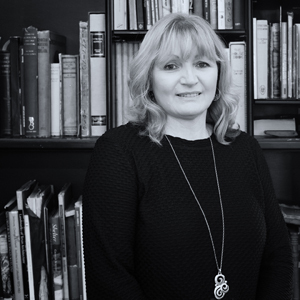 Diane’s qualifications include HNC in Accountancy, Scottish Business Educational Council Certificate in Secretarial Studies and RSA Certificates in Shorthand and Typing. She started her working life with Fife Council, before moving to the Insurance Industry, specialising in Motor Insurance. Diane joined Hurd Rolland in 1998.